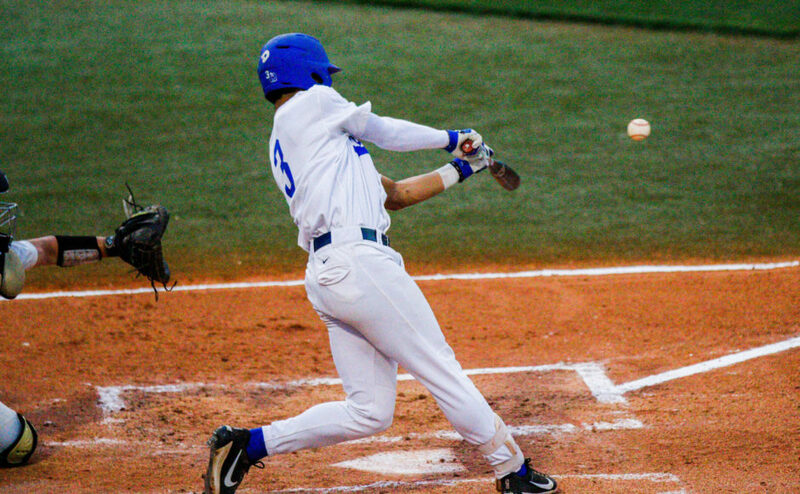 MTSU baseball’s home opener didn’t provide much to complain about for the 1,825 fans inside Reese Smith Jr. Field Friday afternoon. Following a slow start which saw them go down 3-0, the team bounced back, winning 11-4 with a strong bottom of the fourth, scoring eight runs in that inning alone. 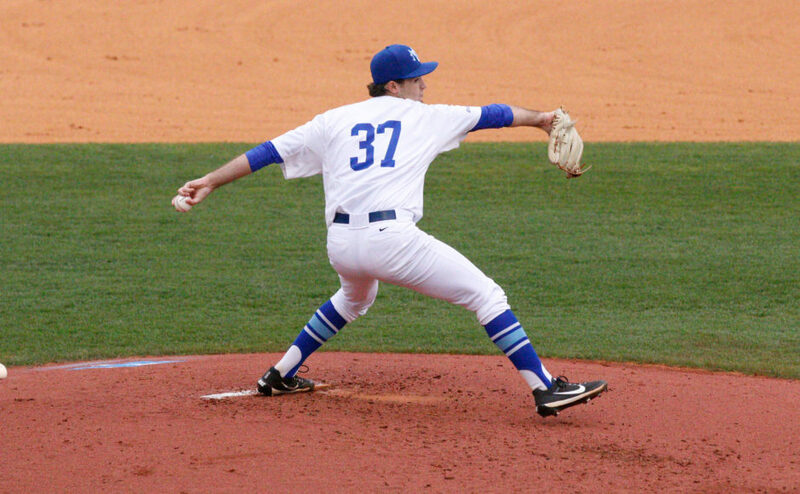 Jake Wyrick started the game strong for the Blue Raiders. Wyrick threw back-to-back strikeouts to end the first inning. 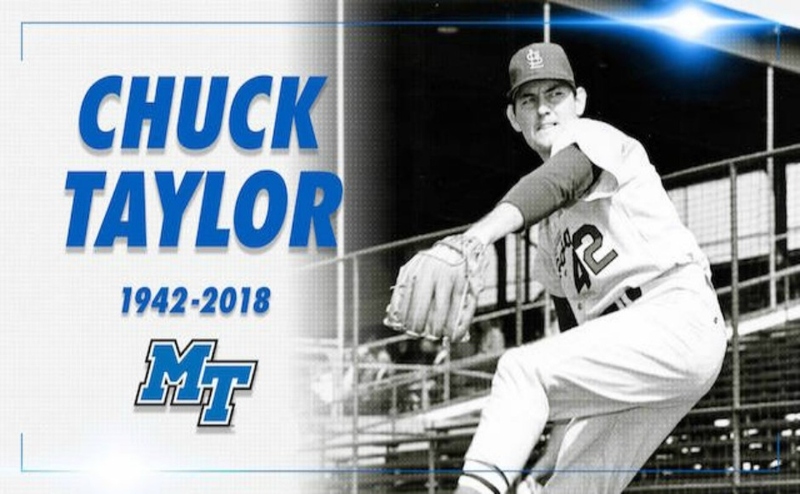 He was a steady force until losing control of his pitches in the third and fourth innings, giving up one run on a wild pitch in the third and a two-run homerun in the fourth. 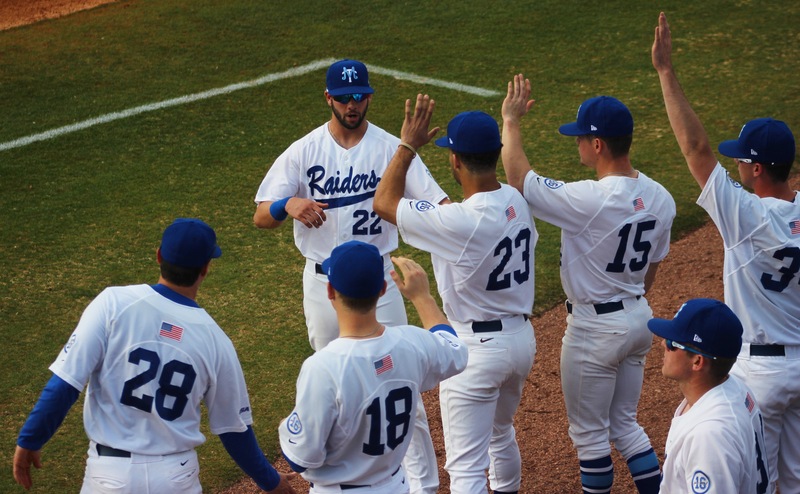 The Blue Raiders gave Wyrick an 8-3 cushion when he came back in the fifth inning, as he proceeded to pitch consecutive three up, three down innings. 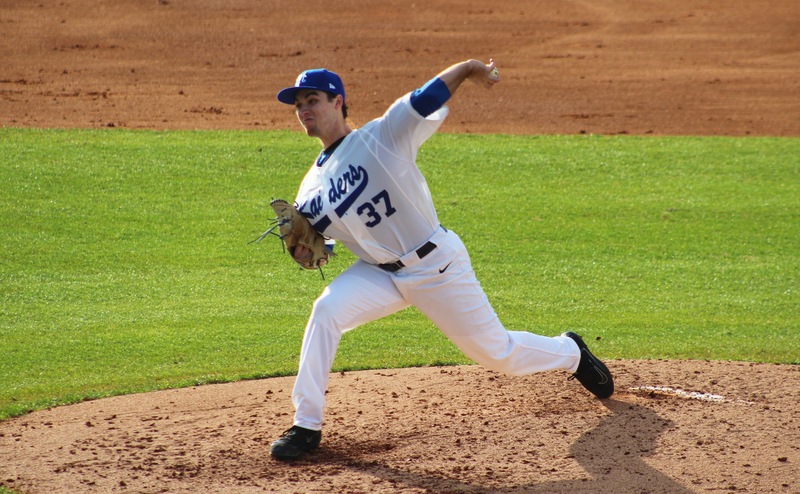 Wyrick’s day ended after the sixth inning, allowing five hits, three earned runs, one walk, but while also producing six strikeouts. The game was his second in a row with six strikeouts. After not being able to get anything going on the scoreboard in the first three innings, the team found itself in a 3-0 hole to start their half of the fourth inning. That inning brought a huge shift in momentum for the Raiders. The team had the bases loaded with two outs and a full count before they could get anything going. But following a walk, the runs started pouring in. After the run by the walk, Senior first baseman Kaleb King was able to score from third following a throwing error by Northwestern’s pitcher. Moments later, Riley Delgado provided an even larger spark to the team, with a 2-run RBI double to deep center to give his team team a 4-3 lead. Redshirt-freshman Devin Conn was able to single and bring Delgado around. Austin Dennis was able to get on base with a single. Aaron Aucker was able to provide the team with a two RBI Triple. Aucker scored on the next play with an RBI single down the middle by Murfreesboro native Drew Huff to make it 7-3. Head Coach Jim McGuire was impressed with how his team performed in the fourth inning. The huge inning was followed up by a lead-off homer by Benefield to start the bottom of the fifth inning. 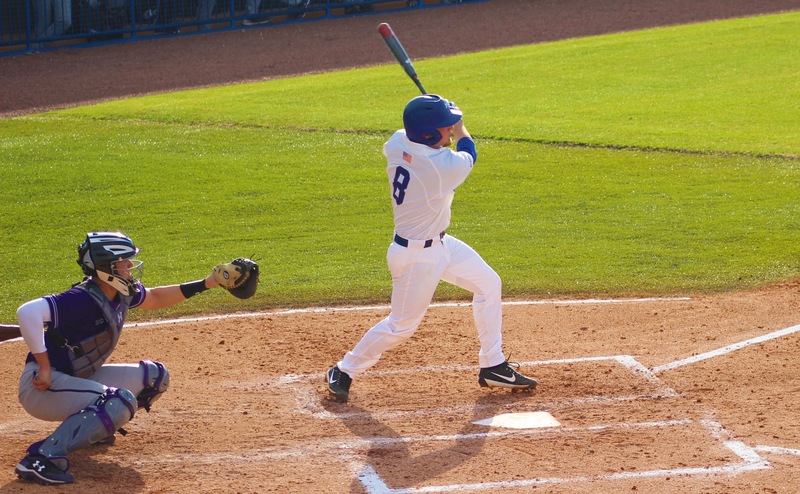 Austin Dennis was able to score in the sixth inning following a scored RBI single by Huff, who was out at second. Senior Brad Jarreau wasn’t in the lineup for the game due to a hand injury. Coach McGuire doesn’t know exactly when Jarreau will be back, but expects it to be at least four weeks. Conn is taking over for Jarreau during his absence, playing in the outfield and at pitcher. He finished the game 1-for-5 with an RBI. 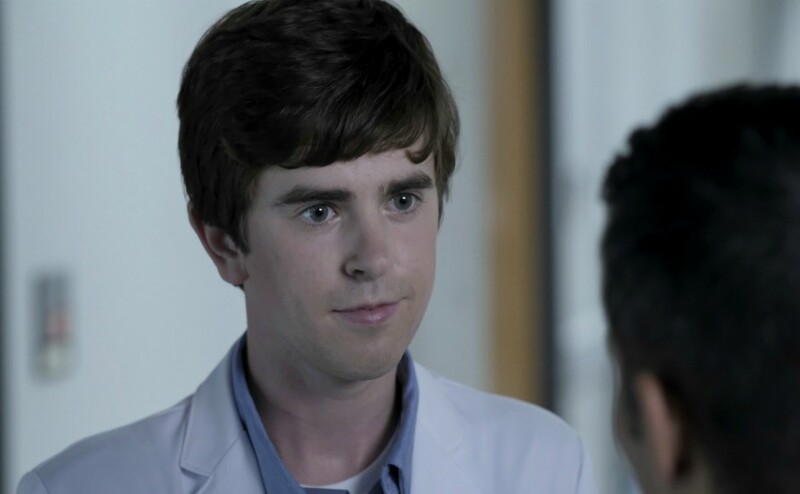 “He’s filling in fine, but we’ll be anxious to get Brad back whenever we can get him back,” McGuire said. The team plays against Bowling Green Saturday at 2 p.m. and Missouri State Sunday at 12 p.m. as part of the Mule Mix Classic.